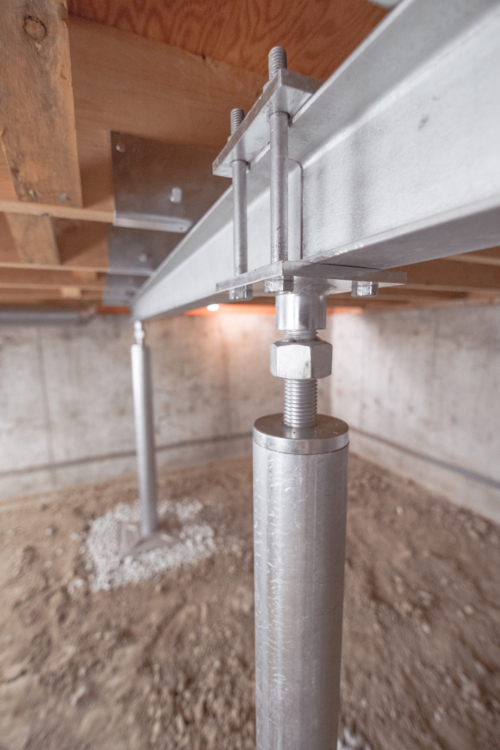 At Baker's Waterproofing, we recommend installing the SmartJack® System, which uses adjustable heavy duty steel crawl space jack posts. These posts install quickly in a home and provide the best solution for restoring stability to your structure. The SmartJack® system can be installed in tight conditions, usually in less than a day. Made of galvanized steel for corrosion resistance, it can support vertical loads exceeding 60,000lbs. A footing base is placed on top of the engineered fill and carefully leveled. If you'd like a permanent solution for your crawl space issues or any other foundation problem, we're ready to help you. We offer free crawl space structural repair quotes to homeowners in the Western PA, Northern West Virginia, and Eastern Ohio area. To schedule your free, on-site visit and written estimate, call or e-mail us today!